Spent Friday morning on Coney Island in Brooklyn, NY shooting drone aerials of the amusement park features. 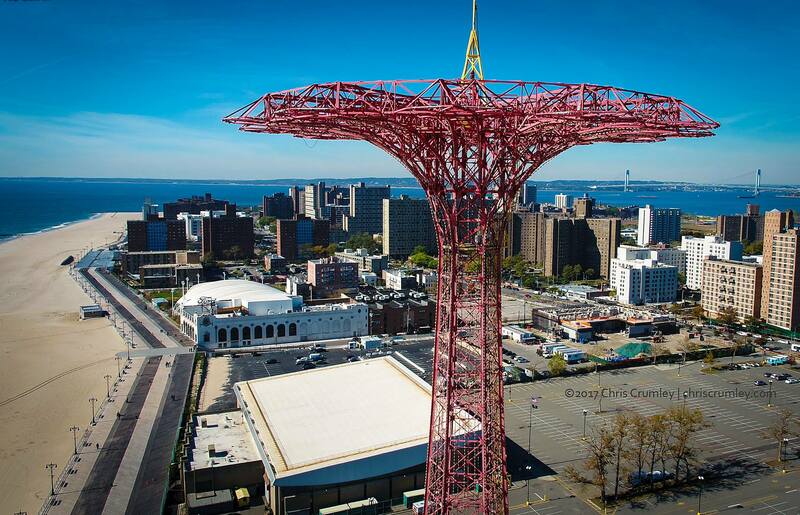 This is the Parachute Jump, a Coney Island landmark that ceased operation in 1968. The drone altimeter read 299' AGL at the top of the yellow spire. Topped it all off with a Cheese/Chili Dog at the original 100 year-old Nathans Hot Dog Shop. Great weather. No wind. Super day to fly.